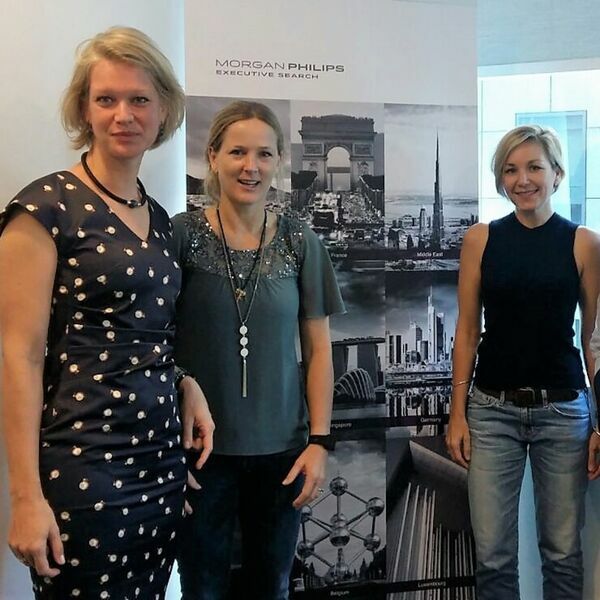 This is episode #10 and it is my pleasure to have as a guests Annemieke Gelder - Founder and Consultant Supply Direction, Saskia Groen - Global Chief Operating Officer at Damco and Ingeborg Veelenturf - Senior Director Logistics Asia at Coach. Stay tuned as we cover: - Ending up with a career in Supply Chain - Diversity in the Supply Chain community? - What are the critical skills needed to be successful in today’s changing and transforming international supply chains. - Key trends around diversity in Supply Chain - How can organisations groom future female leaders Today we will be hosting a slightly different setting, where we will be having a panel discussion on a top topic for the industry: Diversity in Supply Chain. And for that we have here with us three guests that I am very excited to introduce to you. Annemieke Gelder - Annemieke has worked in various senior roles around Supply Chain for the last 17 years, covering various geographies and industries, across Europe, Africa, the Americas and Asia. First as a consultant for Accenture across supply chain projects. Subsequently worked for BP in several positions across pricing, supply chain and investment strategy. And later on for Dyson as Global head of procurement and Global head of logistics. Since 2017 she started her own supply chain consulting company focused on procurement, logistics and end-to-end supply chain. Saskia Groen-in't-Woud - Saskia is also a long standing professional in the supply chain space, having started her career in the building materials space, having worked for Cement Australia. Following which she worked for several years in the global cement leader, Holcim, where she served also as Vice President of Supply Chain for one of the largest operations in Asia, namely Phillippines. And in the last 2 years she has served as Asia Chief Operating Officer of Damco Logistics, part of Maersk group. And has just been promoted to take on the global COO position. Furthermore, Saskia has recenty been awarded the winner of Telstra Business Woman in Asia award. Ingeborg Veelenturf - is an experienced professional in international Supply Chain Management for over 20 years, in Europe and Asia, for leading International Consumer Packaged Goods companies like Kellogg, Sara Lee and British American Tobacco (BAT). Starting off at Sara Lee in International Supply Chain Management and Retail collaboration out of the Netherlands and subsequently worked for Kellogs across Dublin, HK, Singapore and China in various senior roles across the supply chain and logistics functions. She was also Regional Head of Logistics Asia Pacific for British American Tobacco and since August 2016 is the Senior Director Logistics Asia for Tapestry (former Coach inc). Inge also sits on the Advisory board of the Supply Chain Asia Community.